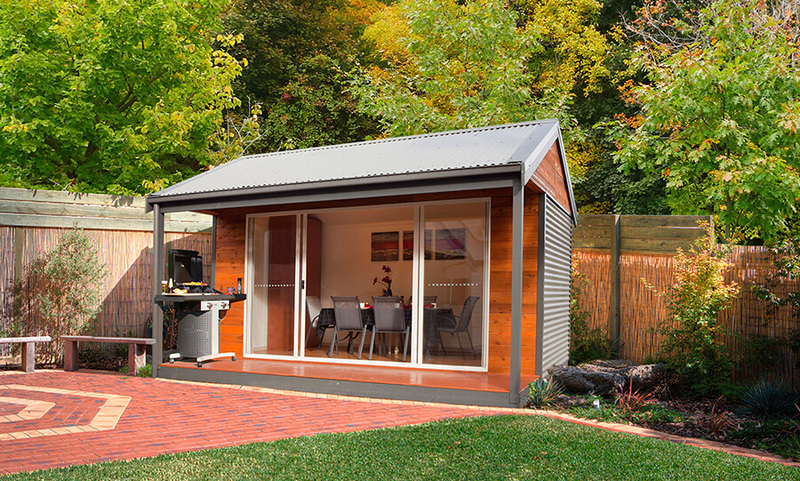 Town and Country Australia has the perfect solution for a Studio, Sleepout for the kids, Hobby Studio, Extra Room, teenage retreat cabin, or a stylish workshop in your own backyard: our studio cabin kits are ideal for all these applications and more. Our team has years of experience in building single rooms and studio units that work well to accommodate the unique needs of our customers. With a highly capable team in charge of constructing your unit, you are guaranteed a sturdy addition to your property that you can enjoy for years. – Clear Span Cathedral Ceiling provides a spacious uncluttered interior! Modern Outdoor Living comes to life! Whether you need a retreat where the family can relax or a place to unwind with friends. Put life into your outdoor living with our modern, stylish & practical backyard cottage kits. – Wide double sliding glass door – ideal for entertaining! – Stylish external cladding with Cedar Panelling on front walls & gable, and horizontal Colorbond cladding on rear & end walls. – Fast to Install! Premade panels that simply bolt together. 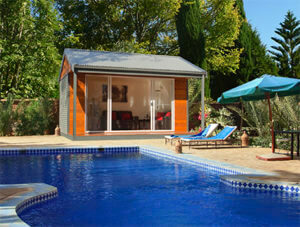 Town and Country Australia are your trusted cabin builders in regional & metro NSW. Browse our website to see our units, or contact us for customised sizes.